Currently, the U.S. banking industry spends $2,001,794,500 in advertising of which only $28,499,200 (approximately 1.42% of their budget) are allocated for advertising to the Hispanic market, investing $284,900 in Hispanic magazines (0.01% of the total budget) and only $1,056,400 in newspapers (barely 0.053% of the total advertising budget). Wells Fargo is the entity that proportionally invests more money in Hispanic advertising, spending $17,289,800, while Bank of NY Mellon Corp, whose annual general advertising budget is $17,941,900, does not allocate anything to the Hispanic market. 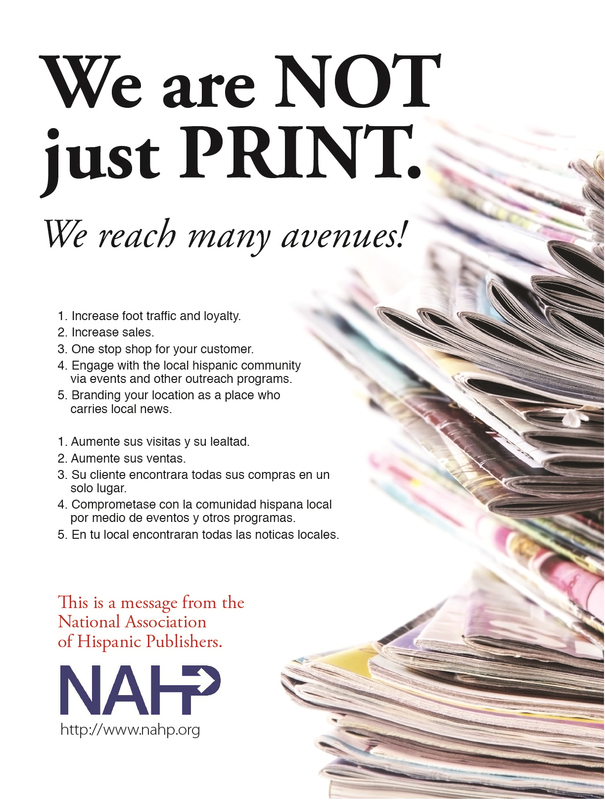 The NAHP and its Procurement Committee has been working with this and other industries to breach the gap between the U.S. Hispanic market and the budgets in advertising allocated, in a effort to have those resources proportionally invested in that community.